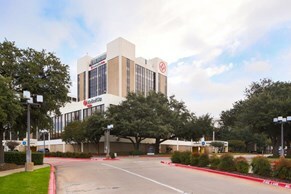 Medical City Hospital has been in the heart of Dallas since 1974. With desirable market demographics, an excellent payor mix, and a growing market it is easy to see why physicians come to practice here. On Dec. 8, 2003, Medical City joined an elite group of hospitals nationwide that have achieved the American Nurses Association's Magnet Recognition, the most prestigious designation of excellence in nursing services. Also, in April 2004, Dallas Business Journal named Medical City as the "Best Place to Work" in the city. As you can tell, Medical City offers unparalleled breadth, depth, and quality of medical care in North Texas.